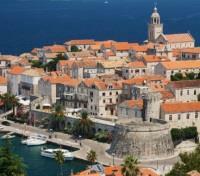 Discover the island of Korcula with a private guide – birthplace of first world traveler Marco Polo. Hike to lavender fields and a deserted village on the island of Hvar. 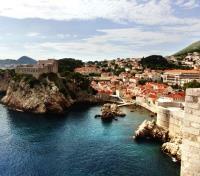 Explore the UNESCO-listed medieval Old Town of Dubrovnik with a private guide. Witness local honeymaking on Solta Island, and take a private motor boat to the secluded Pakleni Islands. Curated selection of premium accommodations. Discover Croatia's magnificent Dalmatian Coast, as you explore the historic cities Dubrovnik and Split, and the beauty of the Adriatic Islands. 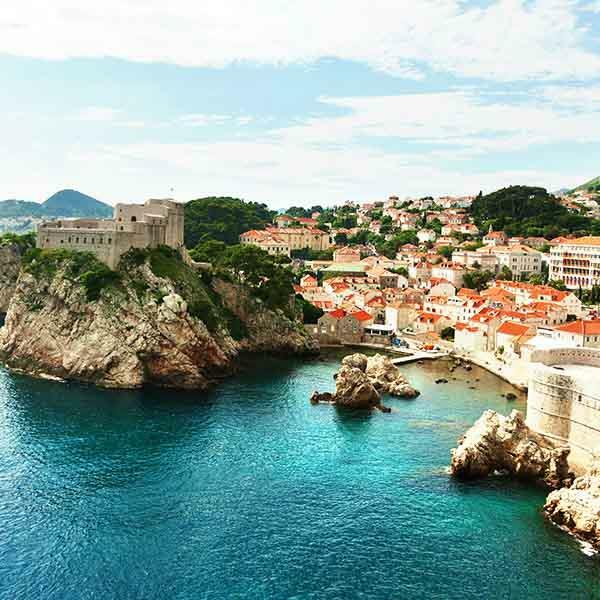 Arriving to Dubrovnik, a city whose Old Town graces the UNESCO World Heritage List, you'll soon find yourself met by a private guide who will show you through the meandering alleys of the medieval core, sheltered inside its iconic 16th century stone walls. A perfect contrast to the historic architecture, push out into the Dubrovnik hinterland with your guide, where you'll drive through verdant green valleys, mountains and pastureland. Stop on Mljet Island to swim or snorkel in stunning turquoise waters on your way to Korcula Island, supposed birthplace of Marco Polo, the first great world traveler. Take a private walking tour of Korcula with your guide before heading to Hvar, another of the Croatian islands surrounded by the waters of the Adriatic Sea. Set out on the island with a private hiking guide, and uncover picturesque vistas of its rugged coastline and cliffs. Visit the island of Solta and uncover the local process of making honey as you visit a beekeeper and olive farmer. 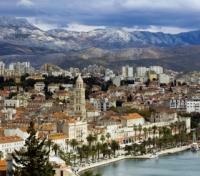 Back on the mainland coast, you'll arrive to Split, famous for its 4th century palace erected by the Roman Empire, a city rich in history that will unfold before your eyes with the expert knowledge of your private guide. This is the Croatia you've been looking for. Enjoy your private airport transfer to your hotel with vehicle and driver. For your added comfort, an English speaking assistant/guide will help you to check in and walk you through the welcome package documents, your itinerary and answer your questions. This morning meet your guide and driver in the hotel lobby for a private tour of the Dubrovnik Hinterland – the region of Konavle. The region of contrasts and exceptional beauty, mountains and valleys, green hills and naked stone; inclines down to the cozy coves of small fishermen villages. Your first destination is the ancient Mediterranean town of Cavtat. Like many Dalmatian towns, Cavtat began as a Greek settlement, called Epidaurus, and later became a Roman colony. At the beginning of the 7th century, Avars and Slavs invaded Cavtat and destroyed the town. 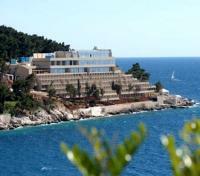 Refugees from the town formed another settlement - Dubrovnik. 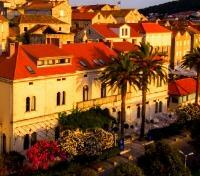 Since those times, Cavtat has always been inseparably bounded with the history of Dubrovnik. Your guide will take you for a stroll through this picturesque little town – its cobbled streets with traditional red-roofed houses, narrow stairways and charming promenade along the shore. Your walk will take you to the top of the hill, where you will discover the extraordinary Mausoleum of Račić Family, a work of Ivan Meštrović, the most prominent Croatian sculptor. After the walk, you will continue your exploration of the countryside of Konavle. In the village of Čilipi, you will be welcomed by a local family on their humble rural estate of Bakicevo. 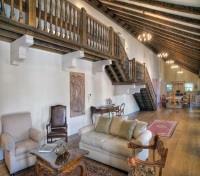 You will enjoy their hospitality in a unique ambiance of a traditional stone-built house. Your hosts will take you around their garden where they grow various sorts of vegetables in an old-fashioned way. The ingredients that will be used for your lunch today come from their garden. With the alluring scents of the local cuisine, your hosts will prepare the traditional Dalmatian specialty of peka – food prepared under the iron bell, for you. After this delicious lunch, your guide and driver will take you back to your hotel. Meet your chauffeur in the hotel for a private transfer to Dubrovnik Marina where you will board your private motorboat for a transfer to Korcula. 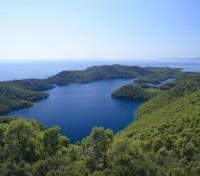 En route you will stop in Mljet National Park where you can enjoy a self-guided exploration of the island and national park. Located on Mljet Island, believed to be the island of Ogygia mentioned in the famous epic poem ‘Odyssey’ as the paradise island where the Calypso nymph detained Odysseus for seven years. The untouched nature and the beauty of the Great and Small Lakes connected with the open sea by a narrow channel. In the heart of the Great Lake stands the Isle of St Mary with the sleepy 12th century Benedictine Monastery that can easily be reached by a small boat (not included). Do not miss the walks along the lovely wooded paths by the lake, along the ancient pine forest. Situated on Korcula's waterfront, the prestigious Korcula de la Ville Hotel was built over one hundred years ago and remains a symbol of the town's past and present. Nestled between the former medieval town's massive walls and its stunning azure bay, the hotel was once a mainstay for the wealthy European elite. The Korcula de la Ville Hotel features 22 rooms, a grand facade, and a spacious vine-covered terrace with prime views of the channel. 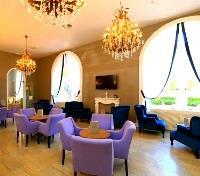 This historically-rich hotel remains surrounded by the town's stone monuments, adding to its memorable ambiance. Here you can enjoy the taste of traditional seafood complemented by a glass of red wine, or the sound of live music performed on the terrace, all with a majestic sunset adding to the beauty of this Korcula treasure. Meet your private guide and driver at your hotel for a tour of the beautiful island of Korcula, considered the birthplace of famous world traveler Marco Polo. Discover the beautiful island’s landscape of vineyards, olives fields and old villages with typical Dalmatian’s stone houses. Wander inside its ramparts for a visit to the Cathedral of St. Marko, an architectural masterpiece in Gothic and Renaissance style. You'll also visit the quaint Museum of Icons to discover a unique collection of Byzantine Icons and ceremonial pieces, collected by 17th and 18th century Korcula sailors on their journeys around the world. Take a short transfer to the sleepy village of Zrnovo, one of the oldest settlements on the island. Here you'll visit the unique eco farm of the Marovic family, learning about their organic production while being treated to a light snack of their homemade jams, olive oil and grappa. Through the idyllic landscape of vineyards, olives fields and quaint villages, you'll continue to the town of Lumbarda, home to the island's most beautiful sandy beach. Visit the Bire family winery, famous for cultivating the Grk grape varietal. Your hosts will treat you with a private wine tasting followed by light snack. Conclude your day on arrival back to your hotel. Enjoy your port transfer with a private vehicle and driver. Board a shared transfer by catamaran from Korcula to Hvar. Approximate travel time is 1.5 hrs. Meet your local guide for a private walking tour of the town of Hvar – a unique fusion of the luxurious Mediterranean nature and the remarkable cultural and historical heritage. 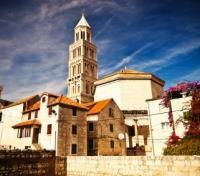 Your guide will take you for a stroll through the inexhaustible treasury of the cultural heritage of Hvar. 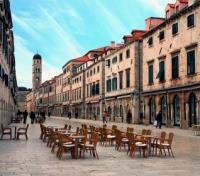 You will start by visiting the largest square in Dalmatia, previously bordered by gardens. It is ringed by grand palaces and beautiful historic edifices, such as the town loggia and the Gothic and Renaissance palaces. The most impressive is the Cathedral of St. Stephen, a harmonious synthesis of the Renaissance and early Baroque elements. Its graceful 17th century bell tower is the most beautiful element in the skyline of the town. A stroll through narrow streets of the town will reveal numerous other monuments, such as the Franciscan and Benedictine Monastery and the mighty Arsenal, a 13th century warehouse for the communal war galley that today houses Hvar theatre – the oldest theatre in Europe dating from 1612. After the tour of the town, you may wish to visit the Hvar Fortress, a 16th century citadel built in the time of the Venetian rule. 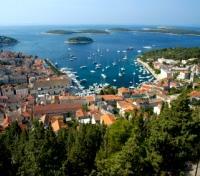 Perched on a hill above the ramparts, it dominates the town and offers spectacular views of Hvar and the Pakleni islands. Even though there is some 25 – 30 minutes of a walk up to the top, the stunning views make is all worthwhile. Entrance fees included. Renovated and redesigned as a stylish luxury hotel and spa, the Adriana Spa (4*) hotel's amenities are as diverse as its view, which combines the cathedral, the yacht harbour, and the bay. Contemporary interior design meets with comfort and timeless views from the balconies. 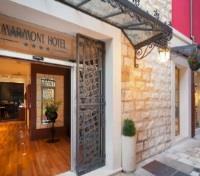 Perched on the promenade, facing the old city centre, this hotel is Croatia's first and only member of the Leading Small Hotels of the World. The luxurious Sensorí spa offers therapeutic and aesthetic treatments, massage, and a wide range of programs including yoga and nature excursions. The rooftop terrace features a heated, indoor pool, and a spectacular sky bar and lounge area. Meet your private trekking guide and set out on foot for an exciting hiking tour along the picture-perfect coast of Hvar Island. The 5-mile long trail takes you through pine forest, secluded coves and quaint bays, to the charming village of Milna. From there, with the scent of pines and lavender fields, head uphill to the forgotten village of Malo Grablje. Deserted by its residents in the 1960's in favor of Milna, today it’s a quirky open-air museum of a forgotten time. However, you will not be completely alone - your host is a local that owns a small stone-built house in the abandoned village. Here he will make a traditional, tavern-style lunch for you. 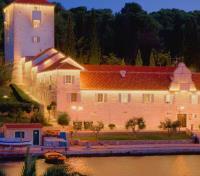 Enjoy local cuisine, a touch of history and magnificent views before heading back to Hvar town by private vehicle. Discover the beauty of the Pakleni islands en route from Hvar to Solta Island in today's private transfer, which includes a private boat tour on stunning azure water. With a private skipper guiding your 3-hour cruise, you'll enjoy an exclusive excursion on a speed boat or deluxe motor boat. The Pakleni islands derive their name from 'paklina', referring to a pine resin once used to build ships, and offer secluded beaches and shaded coves to explore. 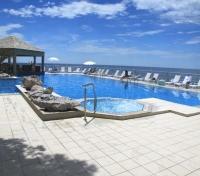 The series of isles boast crystal-clear waters and either white sand or pebbled beachfront. Enjoy time at leisure to swim, sunbathe, and wander through the natural beauty of these stunning, sun-drenched islands. Conclude your memorable boat excursion by continuing your private transfer to Solta Island. The Martinis Marchi Hotel & Restaurant is located in a historic 300-year old castle in Maslinica harbor on the island of Solta’s west coast. The hotel welcomes guests into luxurious rooms that combine modern conveniences with the historical atmosphere to evoke visions of times gone by, with views of sparkling teal waters, and a landscape dotted with olive trees. Every guest room has its story, history, and is named after famous people of that time who were somehow connected to the castle or to its builder Ivan Petar Marchi. The hotel’s Le Chateau Restaurant serves typical Dalmatian fish specialties accompanied with fine red wines from Martinis Marchi’s own wine cellar. The Martinis Marchi Hotel also features a heated pool, sun terrace, sauna, steam bath, a spacious lounge area and a relaxation room with a piano and a 1.2 acre garden area with its own heliport. 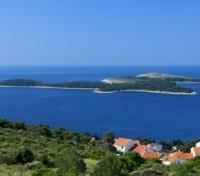 Meet your private guide and driver for a half day tour of Solta Island, an undiscovered gem of Croatia. Local winding roads will take you past olive groves, lush vineyards and beautiful bays. You'll first explore Srednje Selo, the smallest and the least populated settlement on the island, boasting rustic houses and irregular stone-paved alleys. Continue on to Gornje Selo, a small village protectively overlooking the rest of the island, with a church bell tower that stands out in every view. Here you'll enjoy a private olive oil tasting at the Kastelanac family olive groves, learning about their organic production and even sampling their best fare. Finally, you'll journey to the village of Grohote, Solta's oldest and largest settlement. Grohote is the home of the Tvrdic family who have been beekeeping and producing honey on the island for three generations. You'll enjoy a tasting of their award-winning rosemary honey, an experience not to be missed. At the end of the tour, your guide and driver will take you back to your hotel. Meet your private driver for a transfer to Split. Approximate travel time is 2 hours, including a public ferry ride. Enjoy a private airport transfer with vehicle and English speaking driver.